I did some restructuring of the Blog. It is mostly in the background so you probably won't notice it. The blog posts went back to 2004. I deleted several years of blog entries. They were mostly about some very painful times of my life - painful mentally and physically. They are all too alive in my mind, but I decided to remove them from public viewing. I think to some degree my pain is my pain alone. Let me just say that I am a Cancer survivor and I have been through a lot. Today's weather was unbelievable! It was great! 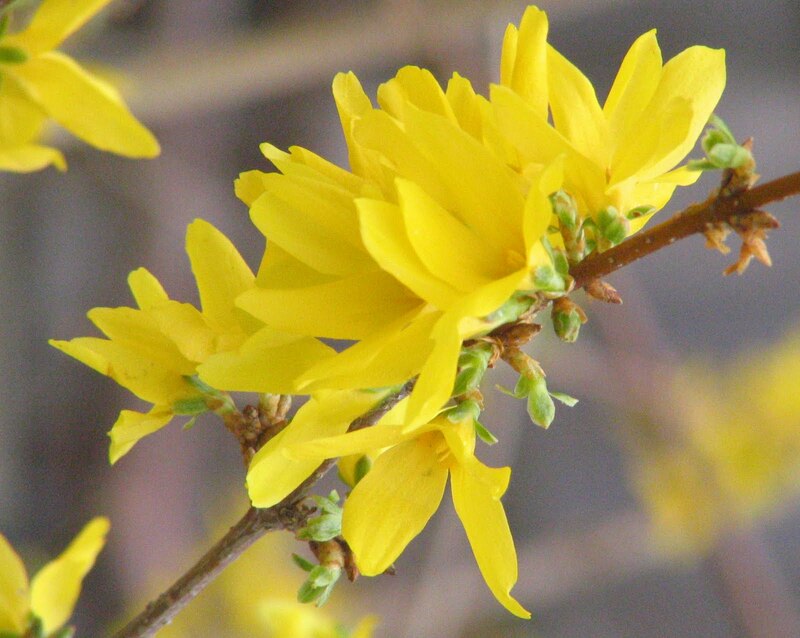 The Daffodils are blooming and the forsythia has suddenly jumped alive in yellow profusion. What a day! Enjoy it.